The above named bridge will be closed on or around April 15, 2019 for six (6) to nine (9) months. The bridge is scheduled for complete replacement. The official PADOT approved detour will utilize Sawmill Road, Route 313 and Old Easton Road. Old Easton Road will be open between Route 313 and the Water Wheel Tavern on the south side of the bridge. Old Easton Road will be open to the 2 residences south of Sawmill Road between Sawmill and the bridge. More information and reminders will be sent out as the date approaches. Come celebrate Arbor Day with us.. Join our EAC on their Annual Spring (Arbor Day) Tree Planting. Event will be held on Saturday, 4/20/19 beginning at 10 am at Jennifer Schweitzer Park. Please wear old clothes/boots & get ready to get dirty. Also bring a shovel & water bottle for yourself. Hope to see you there!! Attention Public Water Customers: 2019 First Quarter Water Bills for water usage during the months of January, February and March were mailed April 1, 2019. To avoid a Late Fee, please submit your payment so it is received by Plumstead Township prior to May 1, 2019. If you do not receive your bill, please utilize the Water Payment Web Portal by choosing the “Pay/View Water Bill” tab on our website to access your account and print an invoice for this billing. Through this Water Payment Web Portal, you may also pay your water bill with a credit card if you desire. Please contact the Public Works Department at 215-766-0189 with any additional billing questions or the Administrative Office at 215-766-8914x203 with any payment questions. Water Payment Drop Box: To improve traffic flow in the parking lot, we have relocated the water payment box. Following the arrows on the driveway, it is now located on the driver’s side. In an effort to increase building security all visitors to the Township building will now need to be let into the office by staff. A reminder will be posted on the exterior door. BUCKS COUNTY– State Senator Steve Santarsiero (D-10) and State Representative Wendy Ullman (D-143) announced today infrastructure investments for Plumstead Township. The $607,175 in funds will improve essential pedestrian safety such as sidewalks, ADA-compliant features, and signalization at the intersection of Stump Road and Route 611 (Easton Road). A public meeting was held at the Bucks County Biotech Center on November 5, 2018, to discuss proposed changes to the intersection of Swamp and Old Easton Roads resulting from the construction of a new Wawa on North Main Street, including a connector road linking North Main and Old Easton. At this meeting, residents and businesses expressed concerns with these changes related to access and safety, and as a consequence, Doylestown Borough and Doylestown, Buckingham, and Plumstead Townships asked PennDOT and the Bucks County Planning Commission to take a fresh look at the proposal. -	Through movements on Old Easton Road/Main Street would no longer be allowed. -	Northbound Old Easton Road/Main Street would be left and right turns only. -	Left turns from eastbound Swamp Road would no longer be allowed. -	A left turn lane only would be installed on westbound Swamp Road. -	Southbound Old Easton Road would be right turn only onto Swamp Road. The existing traffic signal equipment would remain in place during the testing period, which would not take place until the connector road is completed, likely sometime in 2020. Plumstead Township is now enforcing the 2015 Building Code practices. The PA Dept. of Labor announced it as of October 1st. Have you signed up for E-mail notification yet?..Join our E-mail list today..after you subscribe we can send out reminders for events, announcements, cancellations, and news about local happenings in our township. Go to the "Join Our E-Mail List" tab and sign-in. The Plumstead Township Board of Supervisors and Township Staff would like to welcome you to explore our website. Here you will find valuable information about the Township and its services. The website has been redesigned to make it easier and more efficient for residents and other visitors to learn more about us and have their most commonly asked questions answered. Plumstead Township is located in the eastern portion of central Bucks County. It is approximately 25 miles north of the City of Philadelphia and just northeast of Doylestown Borough, the County seat. While newer housing developments have brought more families to our area, Plumstead Township retains its rural history, having preserved nearly 3,000 acres to date through the purchase of conservation easements. 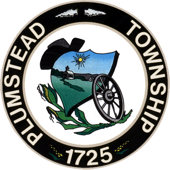 More information on Plumstead Township can be found HERE.